Our giant green Knitted T Rex will look great in any room! 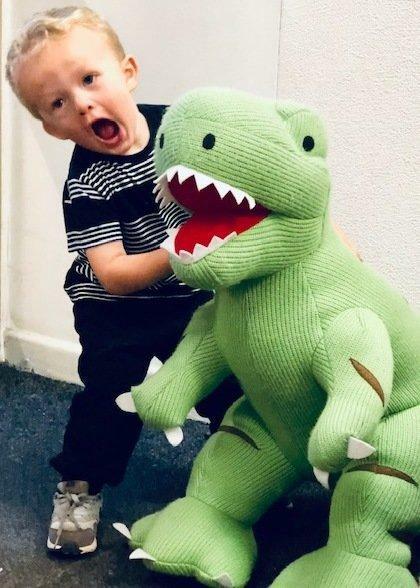 This giant knitted dinosaur toy is sure to be a big hit with dinosaur fans everywhere. Robust enough for play and steady enough to stand this really is a unique knitted Dinosaur toy. Please note that if our Giant Dinosaur Toys are showing as out of stock - they are available for special order. If you wish to order one please email or phone us to check on delivery time.